Marabou is lucky and privileged to live in New York City and have the time to visit its many museums. Marabou is aware that not everyone has the same opportunities. Factors like time, money, and the perception of museums as elitist prohibit people from making a visit. For communities that don’t have a museum or for schools that can’t afford to bring their students on class trips, Museum in a Box (MiaB) is a thoughtful solution. MiaB provides 3D-printed reproductions of objects from international museums combined with tech-charged interactive ways to learn with these objects. MiaB had created prototypes for Smithsonian Libraries, the British Museum, and the Victoria & Albert Museum in London. Right now they’re in pilot phase and hope to have boxes ready for public sale by 2019. As a blend of museums and technology, MiaB gets people to interact with museum collections on a whole other level including touch – tactile contact with objects in traditional museum spaces is usually strongly discouraged. 3D-printing an exact replica of a museum object on a miniature scale is great. However, Marabou hopes that MiaB doesn’t simply copy the content used by the museums. 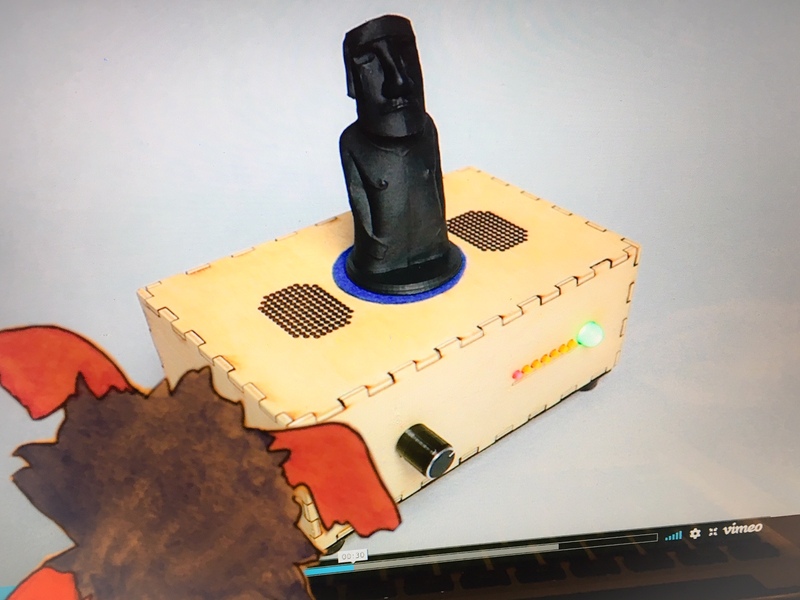 For example, one of the objects within the British Museum’s MiaB prototype includes the moai (ancestor figure) Hoa Hakananai’a (Marabou has highlighted this object in two previous posts). Teaching children about Hoa Hakananai’a as the British Museum tells the story is perpetuating an incomplete and biased story. Although MiaB may be limited (contractually) on how much they can shape the scripts and content that come with the boxes, Marabou hopes they will at least broach the conversation with each museum and be as diligent about presenting content from multiple perspectives as they are about the great tech that makes these boxes work. What do you think of Museum in a Box? What other ways can technology create engaging and accessible ways to interact with museum collections outside of museum spaces?